We added a new dimension! 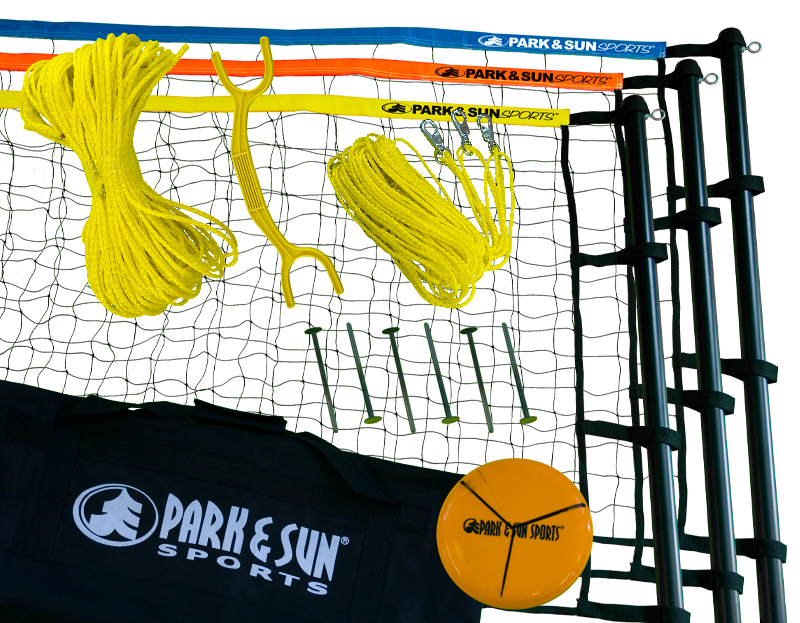 Each Triball Net System comes equipped with high quality materials. 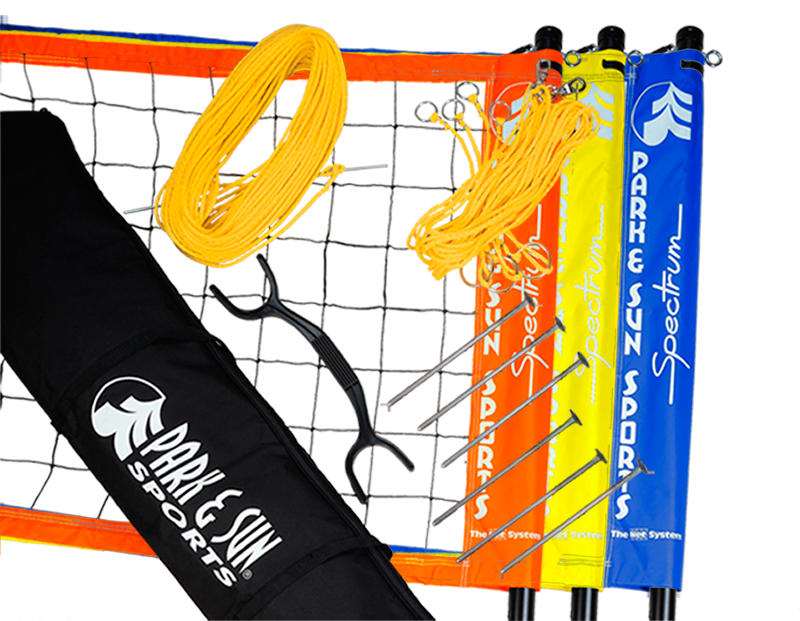 To keep the net systems upright, they include four telescoping poles made out of American extruded aluminum, colorful three-way volleyball net, specialized triball boundary, kept upright with durable guylines with pulldown tension rings, and planted firmly with steel stakes. All of the equipment fits neatly into heavy-duty carrying bag - convenient when you're on the go! Looking for a volleyball tournament or league?